History of Turkish swords. Turkish sword types and pictures. 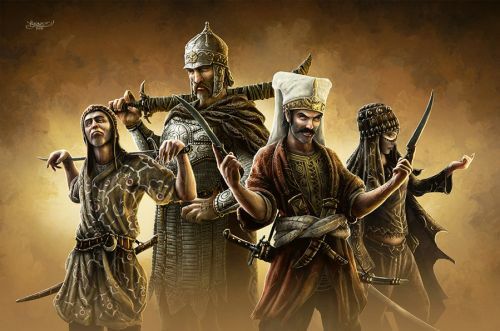 Turkish sword types. Kilij, yatagan, mameluke sword. Swords of Ottoman empire. Sword history. From about 400AD, the Turks have used a distinctive sabre known as the Kilij. 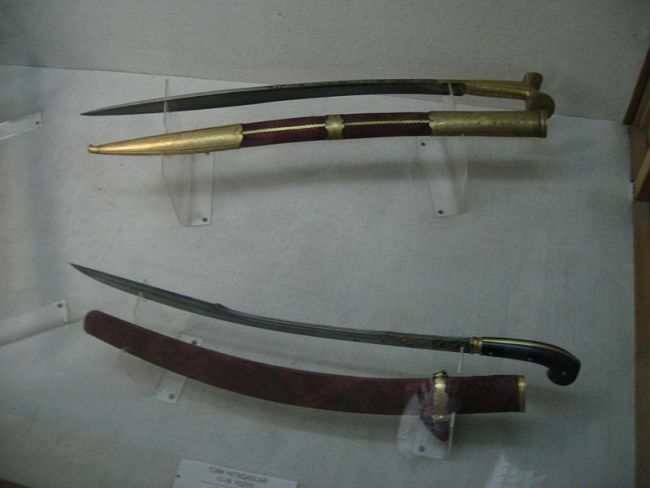 This weapon, derived from the medium length Chinese Dao, were made of high carbon steel and had a single cutting edge. However, a second cutting edge was added to the rear part of the end third of the blade, known as the yalman, which significantly increased the cutting power of the sword. The design of the Kilij was formalised in the late 1400s, during the time of the Ottoman Turkish empire. This blade was long and thin, curving backwards throughout the length of the blade but with an increase in the latter half, with the blade remaining a near constant width until it flared at the yalman. The hilts were simple wood or horn shapes with a protuberance opposite to the curve of the blade and a simple cross guard. This design emphasises its main role as a cavalry weapon similar to the European sabre that eventually replaced it following the ‘Auspcious Incident’ of June 1826. Ironically enough, the modern European sabres were themselves derived from the Kilij. In the late 1700s the Kilij pattern was shortened and the curve increased, the yelman made even more pronounced. The back of the blade was also given a T-shaped cross section, to improve stiffness without increasing weight. The romanticism of the Kilij can still be seen today. Modern sabres used in military dress uniforms around the world are derived from the “Mameluke” pattern. However, these tend to be longer, narrower and less curved than true Kilij. Kilij is a traditional Turkish sabre evolved from original Turko-Mongol sabers. Many European nations adopted kilij and created its own versions. Kilij was an original weapon of Ottoman cavalry. Derivations of kilij: Polish szabla and karabela, Hungarian sabre, Cossac shashka, Balkan sabres and many more. Yatagan is Turkish short sabre or long knife, usually lighter than more robust and more curved kilij. 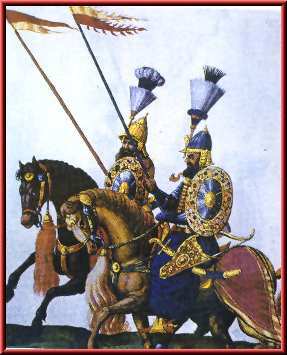 Yatagan was a weapon of janissaries and other infantry troops. Mamelukes were armed Turkish slaves. They ruled in Egypt later. Mameluke swords were imported by French cavalry and adopted by numerous armed forces including US Navy. 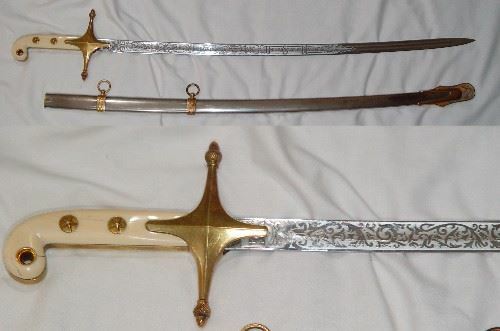 Mameluke sword is less curved than kilij and it features a cross hilt. Mameluke sword is similar to Persian shamshir. This entry was posted in Swords and tagged kilij, Mameluke sword, Ottoman swords, Sabre, shamshir, Shashka, Szabla, Turkish swords, Yatagan. Bookmark the permalink.